Outside the Ball host Mayleen Ramey joined LACOSTE ambassador Murphy Jensen in Central Park for an unforgettable afternoon of tennis with the Fondation LACOSTE. 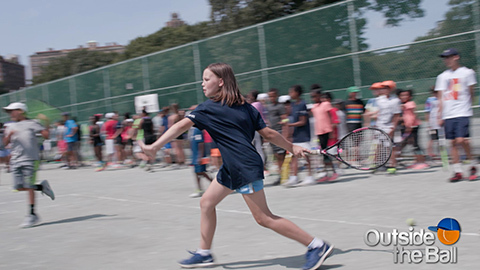 Ahead of the US Open, the Fondation LACOSTE gathers the community together for a free tennis clinic where children of all ages get a chance to hit the court with the pros and have a lot of fun! Throughout the day, Murphy Jensen was pumping up the crowd of kids and encouraging their shots with his electric personality. Mayleen Ramey couldn’t help but join in on all the fun and participate in a lively dance break! 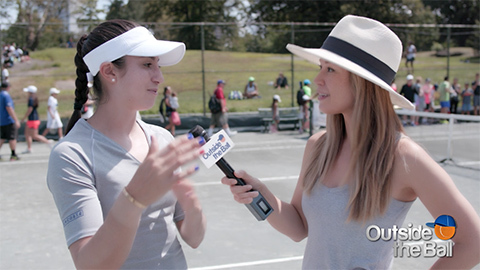 From dancing to professional tennis tips, the Fondation LACOSTE and their free clinic is a great way to motivate young people to remain on the court!